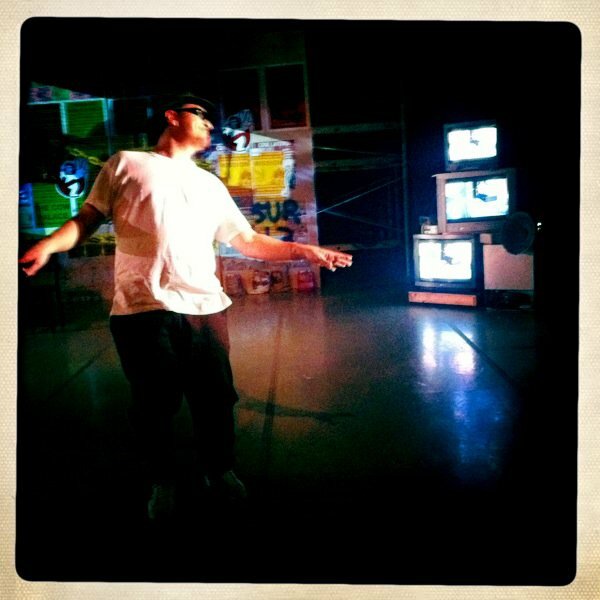 Paul Flores just posted this photo of himself rehearsing his play You’re Gonna Cry in front of the set I designed. I can’t wait to see it in action in a handful of hours! 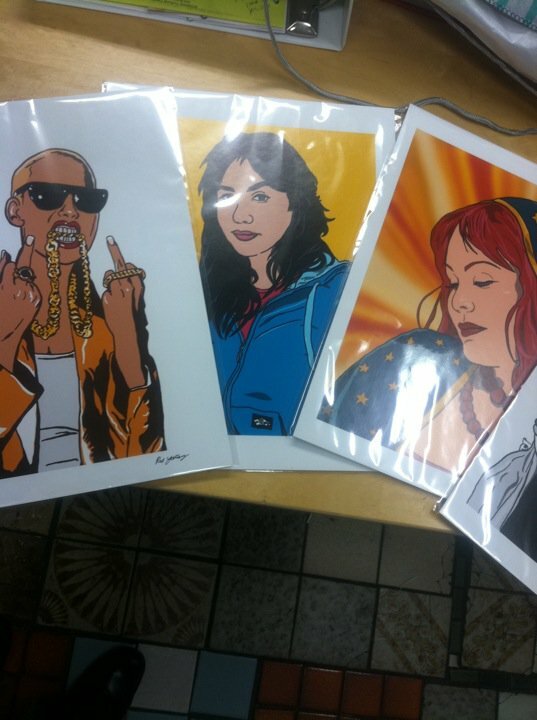 Maya Chinchilla also just posted this snapshot of some of the prints I donated to her for her fundraiser this weekend. It’s a nice spread of some of my favorite pieces. It’s gonna be a busy 48 hours! Hope to see you around at some point! Previous postYou’re Gonna Cry flyers, tickets, and more! OMG is that amber rose? i am so excited. you are amazing.